One of my favorite vacations in Italy is Rome. I love the history, architecture, culture, food, wine and especially the people watching. After spending 4 action-packed days in Rome, I realized I could have easily spent more to fully explore everything Rome had to offer. A Rome Vacation is magical and filled with history and culture. 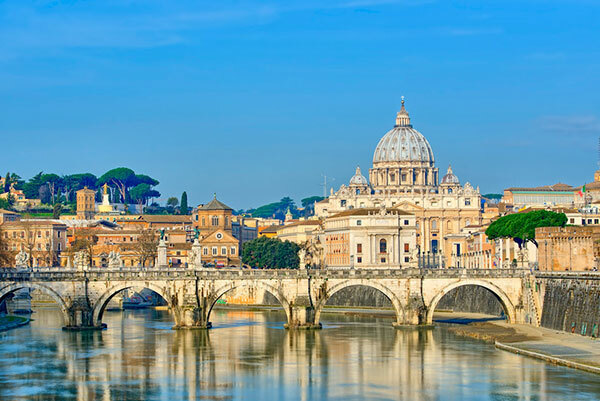 If you are anything like me, you will be in awe exploring some of the most magnificent architectural structures in the world Cobblestone streets, impressive buildings, and art, centuries of history and delicious food all make Rome an exciting and popular vacation destination. With so many landmarks and points of interest, it can be difficult to know where to start. I have put together a list of some of my favorite must-see places to visit while you vacation in Rome. 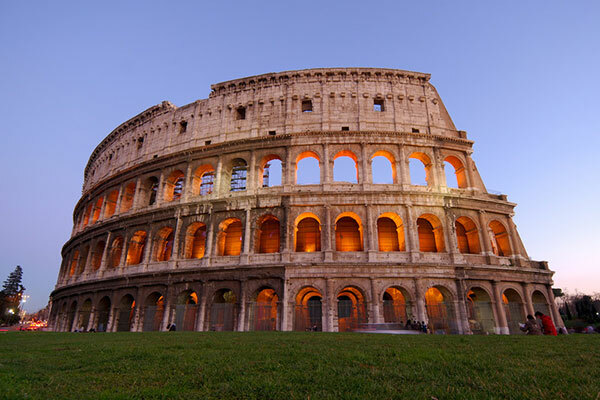 Over 2000 years old, the coliseum is one of the most iconic landmarks in Rome. Originally holding over 70,000 people this venue is magnificent. During your visit learn about the engineering techniques (hoists, trapdoors, and ramps) that were used to present exotic animals to the fearless gladiators. See the armor and weapons used and marvel in the sheer grandness of it all. You can’t take a vacation to Rome without visiting the Sistine Chapel and Vatican Museums. From frescoes by Raphael to the sarcophagus of the Junius Bassus, the Vatican Museums house some of the most impressive and important historical artifacts and works of art in the world. 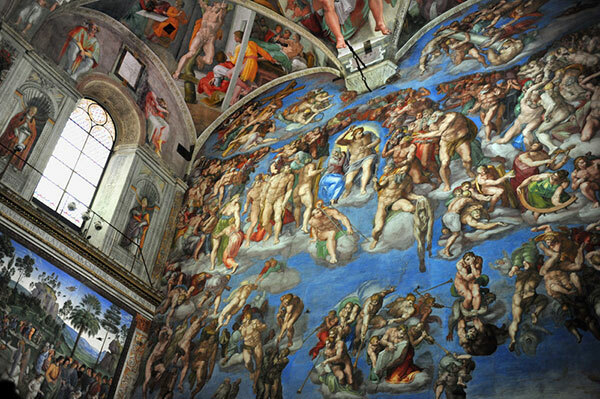 The Sistine Chapel features the magnificent work of Michelangelo and the legendary ceiling includes depictions of the creation of the world and original sin. We have all seen pictures of the Sistine Chapel but nothing can compare to the real thing. One of the largest churches in the world, S. Peter’s Basilica is breathtaking. Over a period of a couple hundred years, artists like Bramante, Michelangelo and Bernini completed a complete overhaul of the church. We still enjoy these beautiful features today. Michelangelo’s contribution to the church includes the largest dome in history and is home to his masterpiece of Renaissance sculpture the Pietà. During your visit, be sure to climb the stairs to the top of the dome where you will enjoy a beautiful panoramic view of the city. 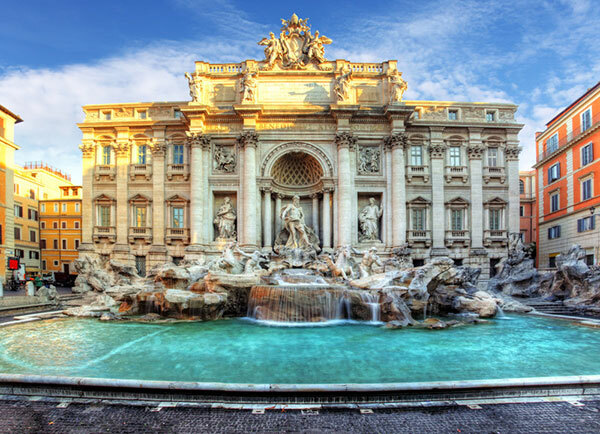 The Trevi Fountain (Fontana di Trevi) is one of the most impressive Baroque sculptures and landmarks in Rome. The sculpture was started in 1732 by Nicola Salvi and was completed by Giuseppe Pannini in 1762. The fountain features Triton taming Oceanus’ shell-shaped chariot drawn by sea horses. Don’t forget to toss a coin into the fountain. Legend has it that, tossing the coin means you will return to the city again. Or if you are looking for romance, toss a few extra coins to make sure wedding bells will soon be chiming. 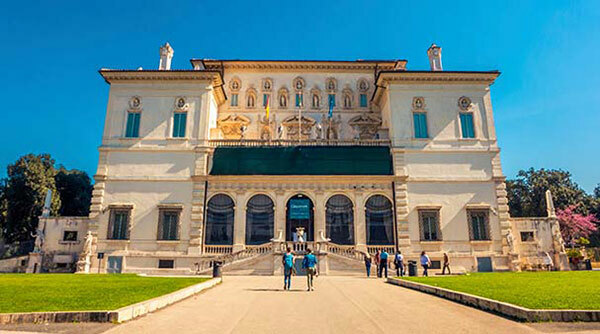 On your vacation in Rome, you will want to save some time to visit the Borghese Gallery. Recognized as one of the finest art galleries, the gallery exhibits an impressive display sculptures, paintings and classical antiquities dating back 2,000 years. Surrounded by the Villa Borghese Park, this quiet sanctuary features work by Caravaggio, Bellini, Botticelli and Raphael. 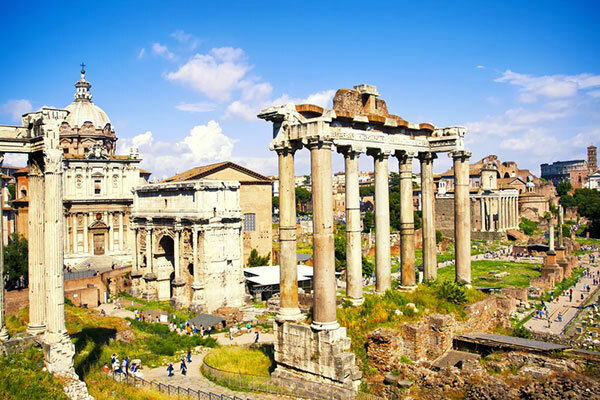 Once a bustling marketplace, the Roman Forum is a must see for anyone interested in ancient culture. As you stroll along the cobbled streets and through the collection of ruins and historic buildings, you can dream of what it must have been like for the ancient Roman Traders and merchants. Highlights include the House of Augustus, The Temple of Castor and Pollux, the Arch of Septimius Severus, the Temple of Romulus and the Forum main square. You can’t visit Rome and not indulge in some delicious pizza and gelato. There are many pizzerias and gelaterias in Rome and you won’t have difficultly finding a place (or two) to tempt your tastebuds. 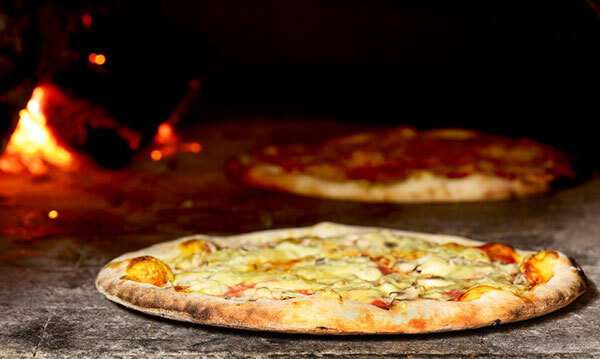 Open countered pizzerias sell pizza by the slice so be sure to get adventurous and try a few different flavors and there is no better way to cool off than with a scoop of homemade ice cream – trust me! Ready for a Rome Vacation? Be sure to give luxury travel advisor, Margi Arnold a call to discuss your vacation to Rome, Italy. With over 25-years’ experience in the travel industry Margi, is an expert that will help you personalize your trip and will ensure a worry-free vacation. Start by completing a vacation request or call Margi at 888-568-4432. Mallorca, Spain – Cycling Mecca!